For A Real Welsh Welcome. Rock Mill Apartment is a newly converted weaver's loft in the grounds of Rock Mill. We offer Self Catering Accommodation in the Cottage. Which sleepts up to 4 people. Ten minutes from the market town of Llandysul, nearby home cooked pub lunches & real ales. Beautiful walking country and Red kites over head. 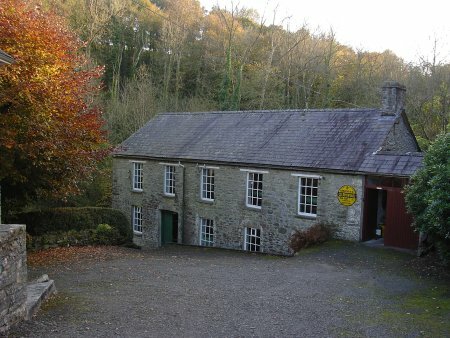 Nestled in rolling hills right on the border of Carmarthenshire and Ceredigion, with red kites soaring overhead, Rock Mill sits in an idyllic location just ten minutes from the market town of Llandysul. 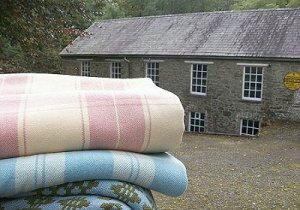 For generations, the mill has produced gorgeous Welsh blankets made from pure wool, along with shawls, throws and Welsh tapestry bedcovers. It is now the only remaining continuously water driven woollen mill in Wales. Today, Rock Mill still produces beautiful Welsh blankets in both traditional and contemporary styles, and it also offers charming self-catering accommodation in a recently converted weaver’s loft. With the distant sound of the river rushing along, joyful birdsong throughout the day, and stunning views across open fields down to the river, Rock Mill’s setting could not be more relaxing for holiday guests. 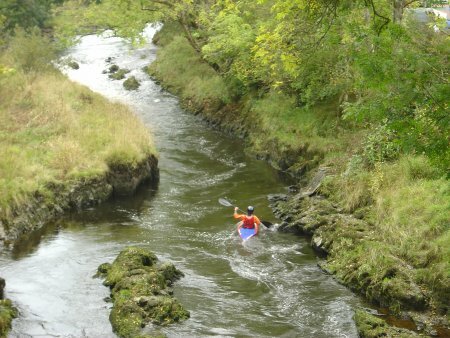 From a gentle holiday unwinding from the hustle of everyday life, to an adventure-packed stay for the outdoor enthusiast, this glorious part of Wales has something for everyone. With Rock Mill’s Weaver’s Apartment as a base, guests are assured of a warm Welsh welcome and a holiday to remember.